We will be open from 1pm until 8pm. There will be no swimming lessons or childcare. 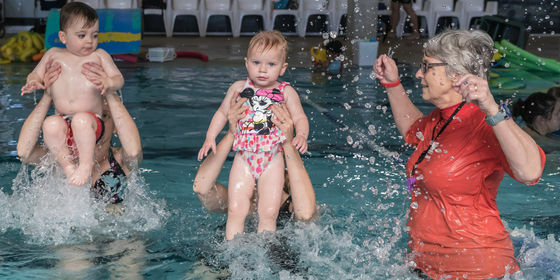 The easiest and quickest way to book swimming lessons is online. Even if you prefer to book in-person, making use of our 'Self Assessment' and 'Browse Timetable' tools before dropping in will speed up the enrolment process. We highly recommend using a desktop computer for online bookings (mobile friendly bookings are coming soon). Try before you buy with a 3 day fitness pass at Casey ARC. Casey ARC is an aquatic and recreation centre, servicing the community of Casey and the South East Melbourne region.